Why should you have a media kit? 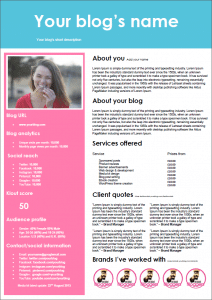 Media kits are a good way of presenting your blogging accomplishments. 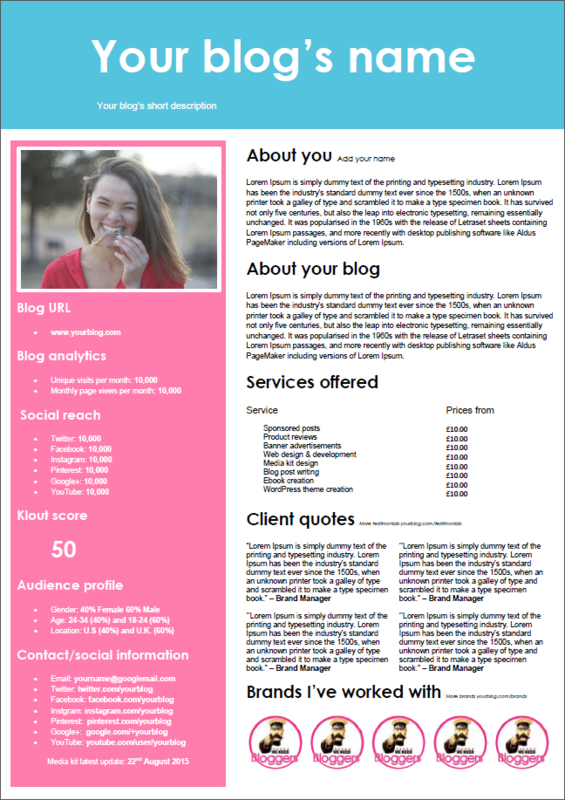 They give a handy snapshot of your blogs most important up to date information and achievements for potential new sponsors, brands and clients to digest. 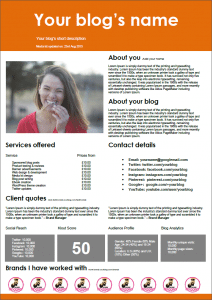 This media kit is designed with the core information included in a bold colourful sidebar. 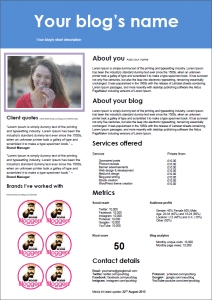 1 x media kit template. 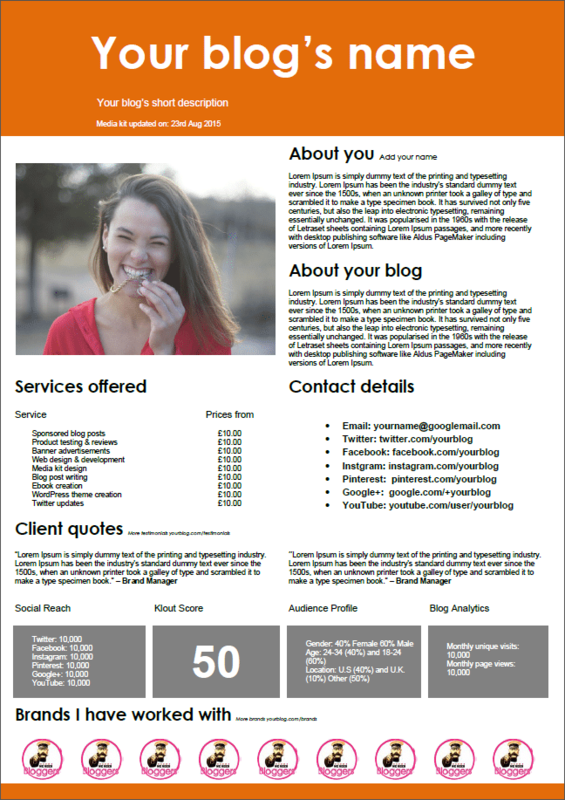 All the media kits are fully editable, including colours, headers, text and images in Microsoft Word 2007 or up and are provided in the .docx format only. 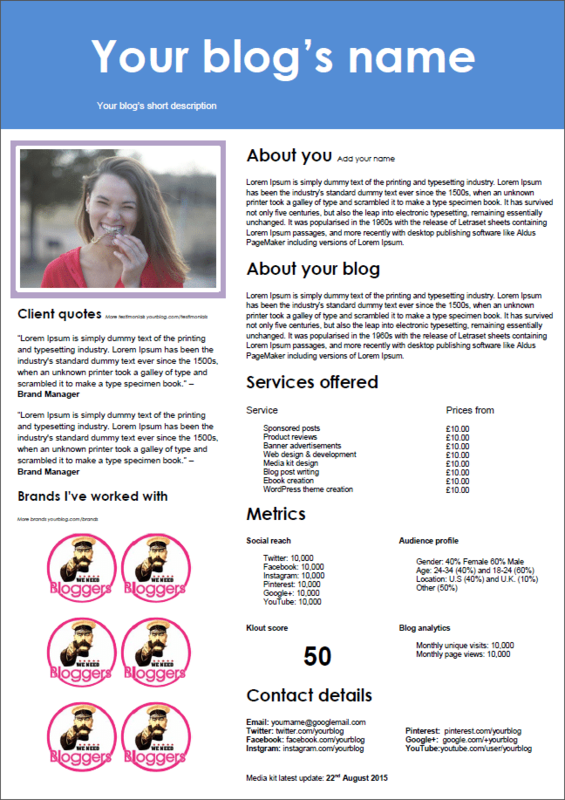 This media kit focuses on the important numbers/metrics, but still including all the bells and whistles you would expect! 1 x All the media kits are fully editable, including colours, headers, text and images in Microsoft Word 2007 or up and are provided in the .docx format only. This media kit is all about simplicity, keeping it fresh and simple. Can I open the media kits in Google docs, Photoshop or similar? The media kits are only editable in Microsoft Word 2007 or up and are provided in the .docx format only. Buy all three media kits for £10.00 plus vat. HELP: When you click the "submit" button below, you will be forwarded to PayPal where you will complete your purchase on their secure servers. Note: You don't need a PayPal account to use PayPal. You only need a credit card! You will receive your media kit download link via email and PayPal confirmation of your purchase.